How To Clean Lime Stains? Are you tired of those lime stains which occur accidently on various portions of your home? They seem to be really troublesome, creating an unsightly as well as untidy presence. But not to worry, you have stepped in at the right place; we will provide you with various guidelines and tips that will help you in getting rid of the lime stains. With the help of these simple and useful ways, you can bring back the desired ambiance and charm in your home. 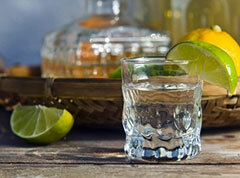 The first things that should be done while cleaning the lime stains is scrubbing the place with some warm tap water. After scrubbing, use a piece of cloth or a towel to make it dry. Once the dirt and scum is removed, you can proceed further for removing the lime stains. Bleach, being a chemical helps in removing the lime stains. Any type of bleach can be used like chlorine bleach, oxygen bleach, and many more. After applying the bleach on the stains, you can rub it with a brush, thus making your place stain free and clean. Ammonia will also play the trick and will bring back the lustrous and peaceful appearance of your home. But one thing should be kept in mind is that ammonia should never be mixed or used along with bleach. Saturating a cleaning rag with lemon juice and rubbing it over the lime stains will prove to be a very natural way of cleaning. This saturated product will easily break the lime-scale which will free your surface from all the lime spots. Rubard, being a perennial plant, its latter is easily available in many grocery stores as it is particularly effective in removing lime stains. It contains absorbic acid in large proportion, which soaks up all the stains. Once you are done, clean the place with a towel and get a pristine surface. Apart from these home remedies, various lime stain removing products are available in the market these days. Some of the products include Calgon, Bar Keepers Friend, Lime-A-Way, etc. As such, various products can be used for efficiently removing all the lime stains on your carpet, kitchen platform, toilet, basins and on many other places. Follow the tips rightly and have a spotless, clean and gleaming surface without any much hassle.